Your weekly reminder to turn on Destiny is here. Destiny’s weekly server reset has taken place, flushing your saved raid checkpoints and bringing a bunch of new things to do. 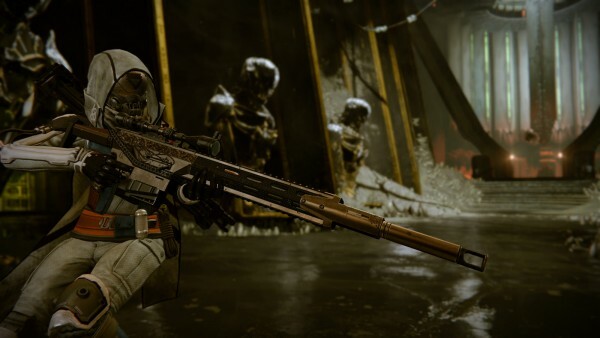 Expect a new Nightfall strike, Prison of Elder challenges, a new Court of Oryx boss, and more. Although the game shows double modifiers and double raid challenges, the Bungie website only mentions this week’s activities. With that in mind, here’s the information we have. Weekly Nightfall: This week’s strike is The Undying Mind with modifiers Match Game, Grounded, Catapult, and Trickle. Match Game requires you to use correct elemental damage to take down enemy shields. Grounded lets you take more damage wile in the air. Catapult increases the recharge speed of your grenades. Trickle greatly reduces recharge rate of your abilities. Tier 3 boss this week is Kagoor. You need to shoot eyes to take down the Ogres, which in turn opens Kagoor up for attacks. With the April came Sterling Treasure chests. These can be earned in a number of ways. First, you get one just by visiting the Postmaster, as well as two more. One for finishing a level 41 Prison of Elders match, and another for completing a full game in the weekly Crucible playlist. You can find a number of things in these chest, here’s a round-up of all the possible drops. Good ol’ Golgoroth challenges you this week in the raid. Give this guide a look if you’re having a hard time with it, or watch it in video form.